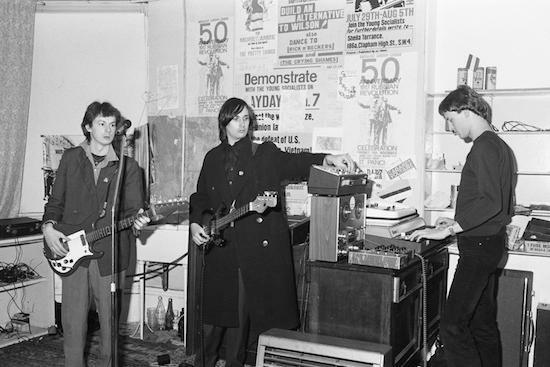 Tomorrow night, as part of the University of Sheffield's In The City series of urban history events, Cabaret Voltaire founder Stephen Mallinder will be heading to his home town to perform at No Lectures From Western Works. 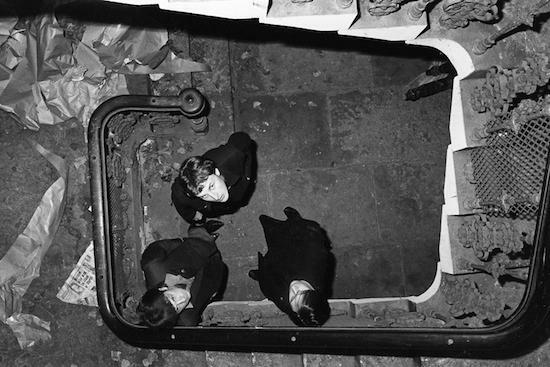 The concert's being held at the university's John Pemberton Lecture Theatres, as near as possible to the Cabs' former rehearsal space and recording studio, Western Works, where they recorded Red Mecca and Micro-Phonies among others, and will see Mallinder joined by members of fellow Sheffield bands Clock DVA and In The Nursery as IBBERSON, named after a sign that used to hang outside the studio. There'll be three other bands on the bill, put together with help from local collective The Audacious Art Experiment, including Blood Sport from their roster, Juxtavoices and B.H.S., as well as talks from Paul Bower, Ron Wright and Clock DVA's Bob Baker. Head here for full details. In advance of that, we asked Mallinder - who's currently performing with Wrangler, alongside Benge, Phil Winter of Tunng and friend of tQ The Lone Taxidermist (read our interview with the group here) - about his time at Western Works. Sheffield in the mid-to-late 70s must have been an exciting place - it really feels like there was a community of artists trying to achieve similar ideas. Do you have fond memories of the era? Stephen Mallinder: Yes very much. You know how it goes - young, rebellious (or revolutionary), no money, loads of ideas and energy and living in a place and time that you didn't exactly fit into. And on the whole the bands that were emerging weren't really musicians - Clock DVA, Human League, Artery, us, etc - we just wanted to make a noise in the widest sense, to colour up our lives a bit. We all took the piss but rivalry was non-existent as no one thought success, in a financial sense or as general acclaim, was a consideration. Have you collaborated with Clock DVA or In The Nursery before? SM: Well, I knew Adi [Newton] from the very early days and we all hung around and did gigs together and took on the role of singer briefly when Adi left and took the Clock DVA name. The rest of the band became The Box so I played a few gigs - I remember playing Heaven - and did a couple of tracks on the first album. But we also recorded and co-produced some DVA recordings at Western Works. In The Nursery are a big part of the Sheffield story and we've been connected over the years - we played together when I fronted the I Monster Awkestra gig at Tramlines a couple of years ago. And Nigel [Humberstone] is part of the Sensoria festival so we're related by name. You have quite close ties with Sheffield's university scene in many ways, with your first gig being an anarchic performance at a student event. Do you feel like you've come full circle in some ways? SM: Yes it does seem so, although I might defer judgement on that till after the gig - it's a one-off and I only have one days' rehearsal with the guys so anything could happen - they could turn ugly and it'll be back to the start; maybe that's okay. But it's ever thus - hang around long enough you become accepted by the originally sceptical. I'm not sure how I feel about that, I'll take it with a smile and a scowl. Do you feel like many Sheffielders are away of their city's industrial music heritage? If not, are these lectures an attempt to make people more aware of this history? SM: I would like to think that this event shows how the city's economic and social heritage became an important catalyst for its popular culture. Western Works is a great example of how people like ourselves used those decaying and collapsing spaces to creative effect - we didn't think that way at the time, it was just cheap available space and was cool in a monolithic industrial sense, and we made it our own. Sheffield as it deteriorated gave us freedom and places to occupy and play with. I think people know the steel history but it links directly to Sheffield's cultural history, that's what it's all about. Hope everyone enjoys it.